A few sips of your beverage and a familiar creature will be revealed! A few more sips and you will see a sculpted version of the Stark house sigil: a stately gray direwolf, teeth bared, ready to defend your honor, or at least your ale! 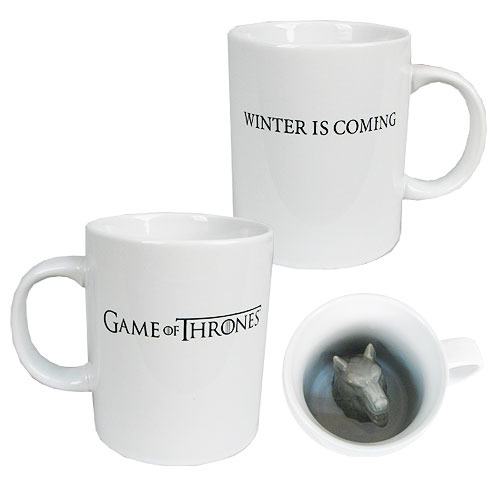 A must-have for Game of Thrones fans. Dishwasher and Microwave Safe.